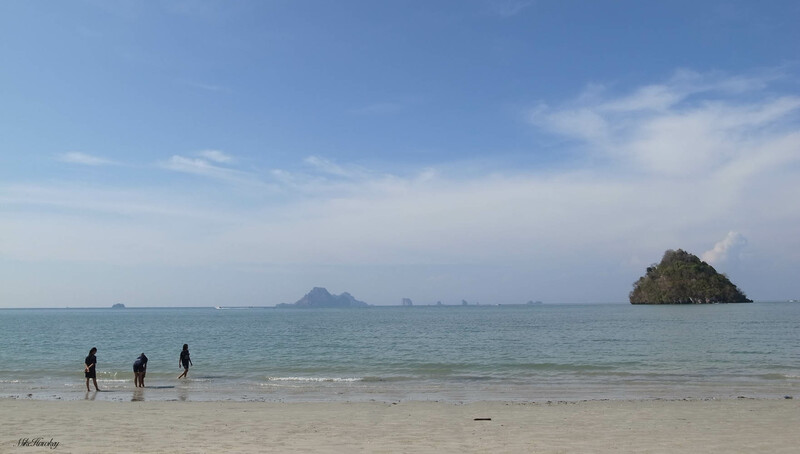 For one of our days staying in Krabi, we booked a day trip out to some of the smaller islands. Heading out via longboat, we had three main stops – one for snorkling, one for lunch and one for a few hours swimming. One thing that became apparent in Thailand, starting with this trip, was the struggle the country appears to have with litter/rubbish, and dealing with it. Each of the stops was beautiful, and away from the mainland, relatively free of rubbish. However, stopping at the lunch spot, walking on the beach, I could smell the familiar scent of ash/burnt goods. At the back of the small beach area, it was clear that all rubbish on the island just gets piled up and burnt. Relatively small stuff, but I’ll touch on it again in future posts where the issue was more obvious. Anyway… Landing at the final beach and being left for the rest of the afternoon I went for a bit of a stroll. Thailand was hit by a nasty tsunami in 2004. 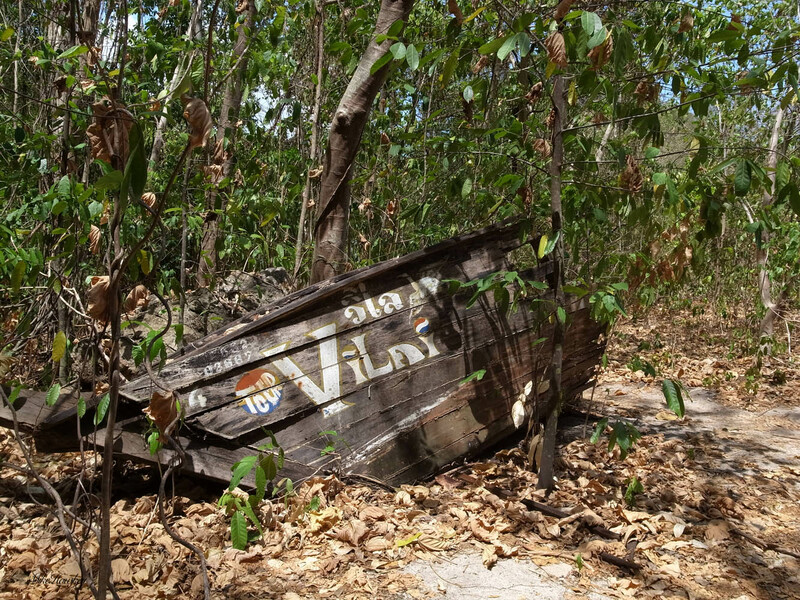 This beach paradise, like many other places was hit, with old wreckage sitting in the bush as a reminder. With the Thai authorities estimating that at least 8,150 are likely to have died, the bits of boats and other things around the coastal areas serve as a reminder, and sorts of shrines to remind us of the loss. 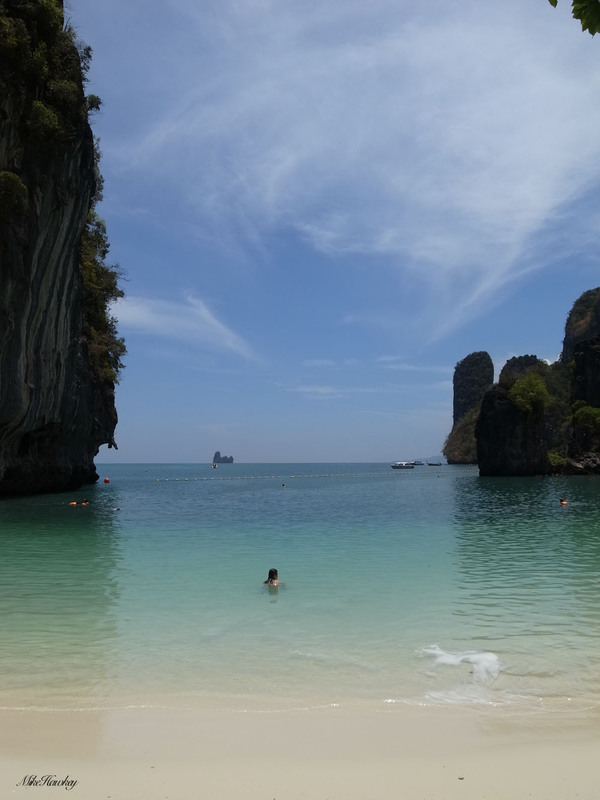 From Krabi and back on a boat tomorrow! I love this area. 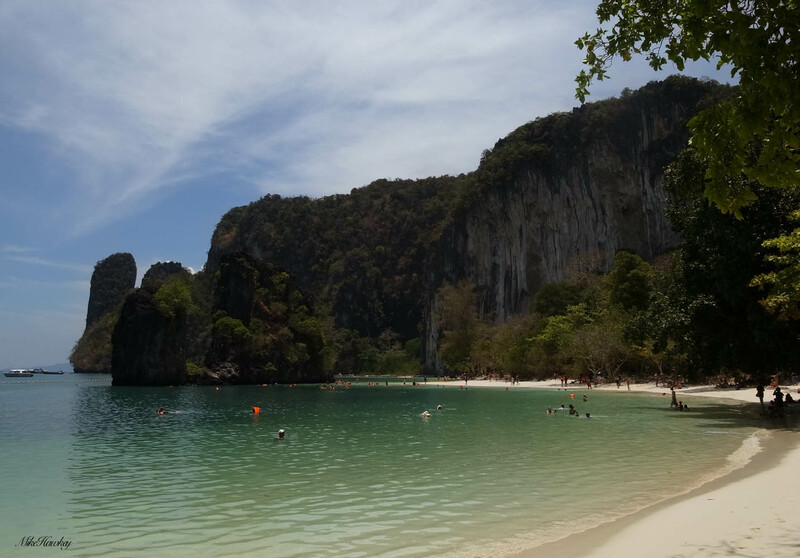 We stayed a week in Railay Bay taking day trips to the island. Such a fun way to holiday. 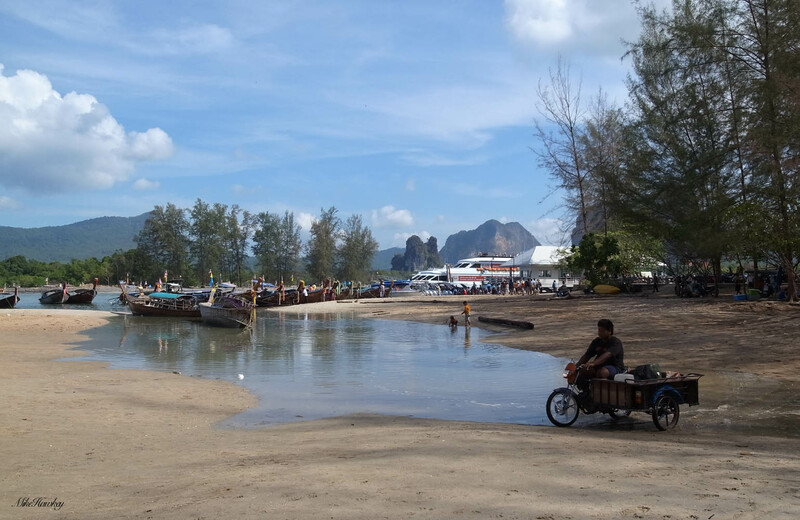 While Railay Bay isn’t actually an island, access is only by longtail so it felt very much like an island. Really is a nice area aye!